Fitting everything you want into a HTPC or small form factor PC can be tough, but quietly cooling those cramped components is a far tougher proposition. The ultra-compact Shadow Rock LP premium CPU cooler efficiently and economically solves this special problem. 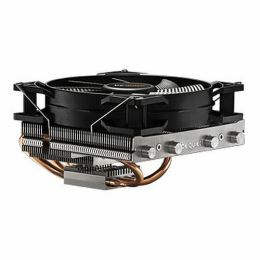 If you are seeking the best possible mix of premium cooling performance for restricted space situations, remarkably quiet operations, eye-catching design, and a highly attractive price in the compact CPU cooler segment, seek no further. Shadow Rock LP is the new cooler for you.